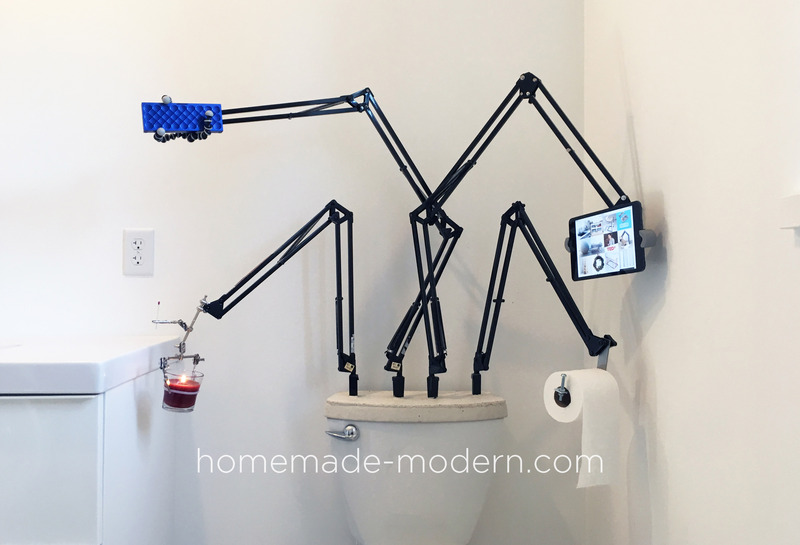 Ok this project is pretty silly but it was a fun experiment and is one of the pieces that visitors always talk about. 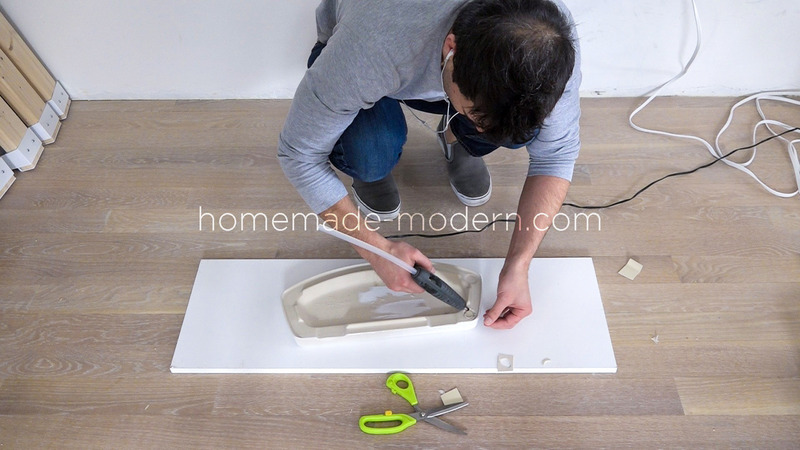 I made a silicone copy mold out of my existing toilet tank lid and then cast a white concrete top in that mold using Quikrete countertop mix in white. I salvaged a bunch of desk lamps from an architecture studio and used them to make the adjustable arms. 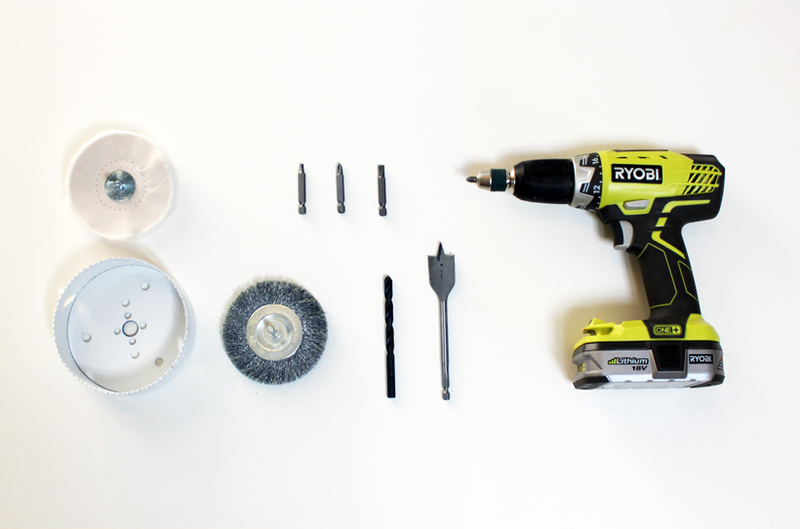 I then added different clips and hardware components to the ends of the arms so that they could hold different useful objects. This lid took about 3 hours to make and cost around $75. I used Quikrete Countertop Mix for this project. It has a fine grain and does not contain gravel which makes it ideal for intricate casting projects. It is available from Home Depot but needs to be called in and special ordered before picking up from the store. I used Mold Star 30 from Smooth On to make the mold. The mold is reusable and I intend on making some different custom lids with it in the future. STEP 1: Make a mold out od the existing tank lid. 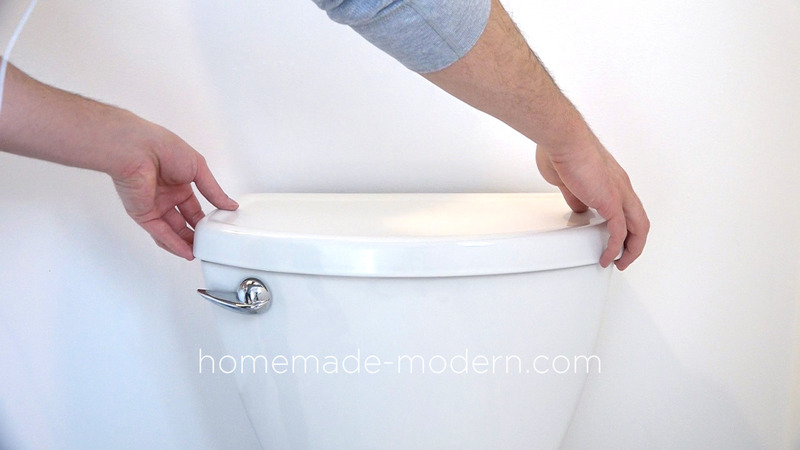 I took the lid off of my toilet tank and used some soft vinyl trim and hot glue to seal up any holes in it. 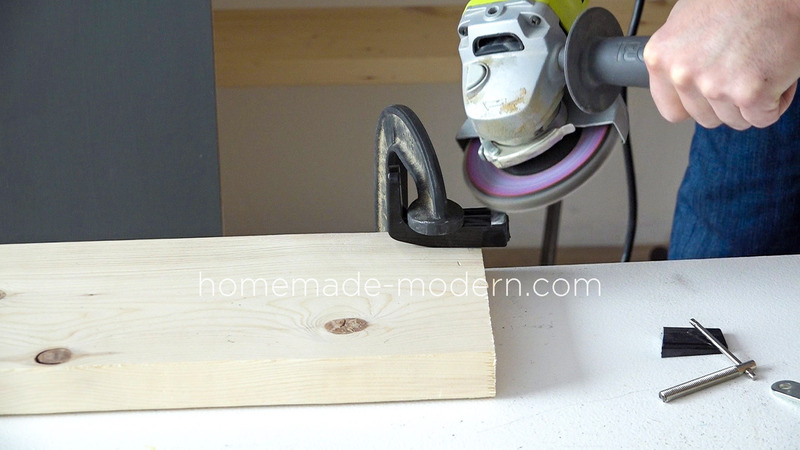 I then hot glued it down to a piece of melamine. 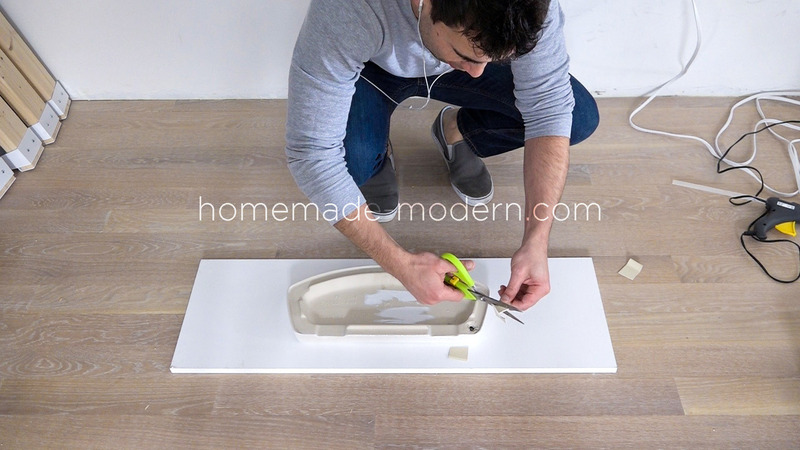 Then I glued a "fence" of soft vinyl baseboard trim around the lid with about 1" of space between the trim and the lid. 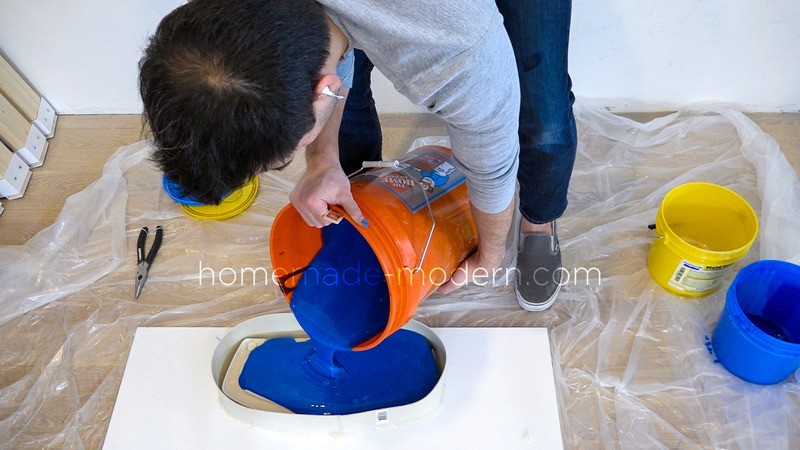 I mixed and poured Mold Star 30 silicone onto the lid. After letting the silicone cure overnight I removed the lid from the mold. STEP 3: Prepare the arms. I salvaged some arm lamps from an architecture study and removed the electrical parts. I then modified the mounting ends with my angle grinder and bolted them to a 12” mending plate. STEP 4: Cast the lid. 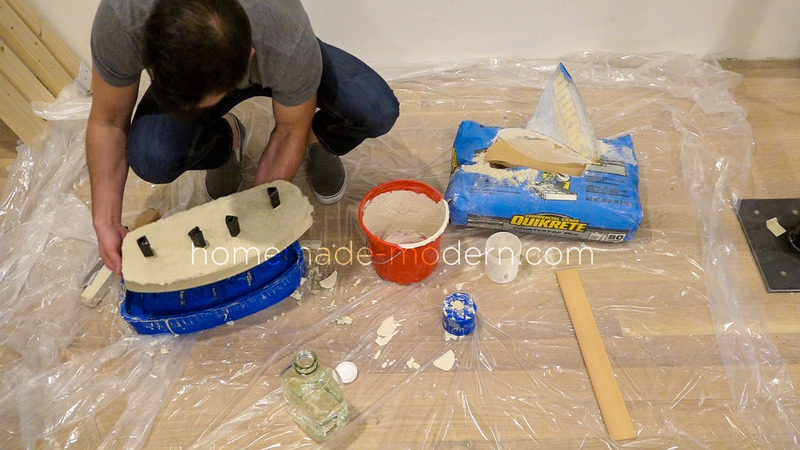 I placed the hardware into the mold and then mixed and poured Quikrete countertop mix into the silicone mold. STEP 5: Remove the lid and finish. 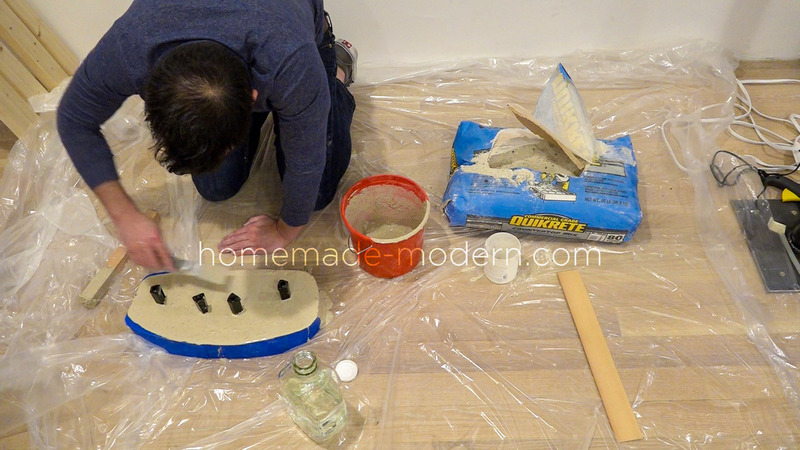 After letting the concrete cure for 48 hours I removed the new lid from the mold. 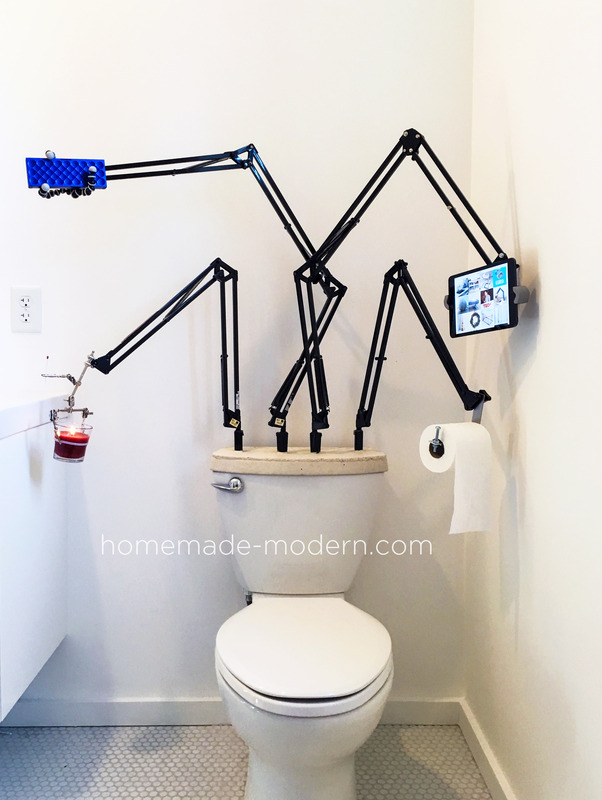 I placed it on the toilet and then inserted the lamp arms that I had modified to hold different objects such as a speaker, a candle, a role of toilet paper, and an iPad.